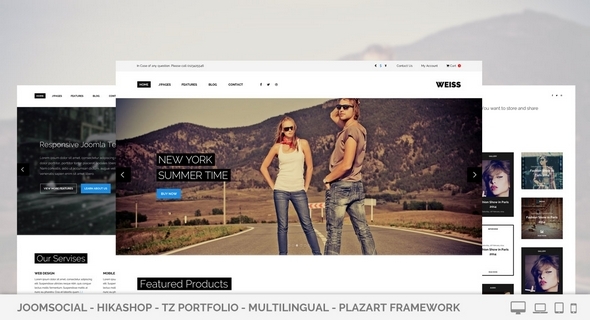 Weiss template is a multi-purpose template with clean and modern design. This means it will be one suiting all needs: Blog, Events, Business, Company website, Personal website... The appearance of Weiss will make your site become more outstanding and beautiful, even it will be an useful template for your work.